A no contest plea may be entered by a defendant who is innocent of the crimes suggested simply because all the evidence points to the defendant’s guilt and a trial would not be to the defendant’s benefit. In such a case, the defendant’s attorney may suggest that the courts will be more lenient than a jury. In order to expedite other charges, a defendant’s attorney may suggest pleading no contest to some reduced charges rather than pleading not guilty. In this case, the prosecutor may accept the no contest plea to the lesser charges to expedite proceedings, while still intending to prosecute for the more serious charges. This is beneficial to the defendant, who otherwise might face a trial on a long list of charges. Let’s say that an underage driver has an accident and an innocent person is injured. The driver’s BAC was very low, but with zero tolerance laws, the driver still faces charges. The injured person is likely to bring a civil suit for damages. The driver may have a better chance by pleading nolo contendere to the charges and let the court set the penalty rather than a jury. This also means that the driver has not admitted to being intoxicated, and therefore it will rest with the prosecutor for the civil case to prove that the driver was in fact intoxicated, which caused the accident that harmed his or her client. 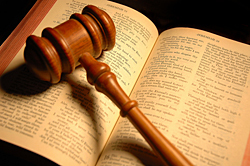 A no contest plea makes the civil prosecutor’s case more difficult to prove. Pleading nolo contendere provides an opportunity to speak either in open court or in the judge’s chambers about the mitigating circumstances of a crime. A defendant might see clearly that they would face harsher penalties in a trial by jury than by entering a plea of no contest and being able to explain the circumstances of the crime. The punishment handed down by the judge may be less severe in this situation.